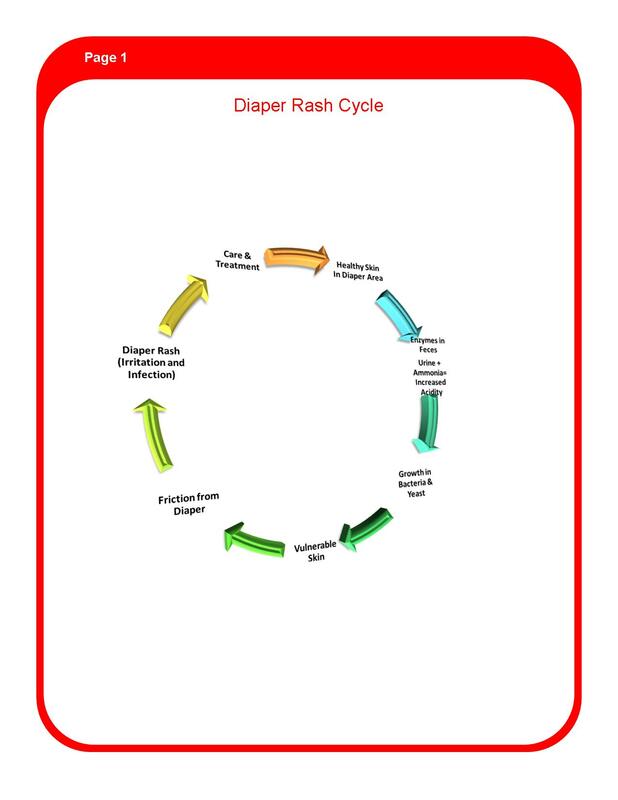 Diaper Rash or Nappy Rash is a common phrase used for skin rashes in the diaper area that are caused by a variety of skin disorders and irritants. Rash or Irritant Diaper Dermatitis (IDD) is distinguished by joined patches of erythema and scaling mainly seen on the convex surfaces, with the skin folds spared. Diaper dermatitis with secondary bacterial or fungal involvement tends to spread to concave surfaces i.e. skin folds, as well as convex surfaces, and often exhibits a central red, beefy erythema with satellite pustules around the border. The dermatitis is not due to the diaper itself, but to the materials trapped by the diaper (usually feces). Most diaper rash cases can be treated with simple at-home remedies. With some carefulness, you should be able to clear your child’s rash in three or four days without a visit to the doctor. Frequent diaper changes limit stool and urine exposure to the area and remain the foundation for prevention and management of diaper dermatitis. Sometimes a mild corticosteroid cream may be used. Talk to your doctor before trying this on your baby. Wash/clean his diaper area well at each diaper change. Don’t use wipes that contain alcohol or fragrance. Pat your child’s skin dry and avoid rubbing. Use an ointment that forms a protective barrier on the skin including petroleum ointment or petroleum jelly, non petroleum jelly, lanolin products, and white zinc oxide. Keep child’s diaper on loose or use a little bigger diaper for better air circulation. Try different brands and choose best suited brand. In warm weather let your child remain without diaper, fresh air has good drying and healing effect. Let your child sleep with a bare bottom whenever he has a rash.